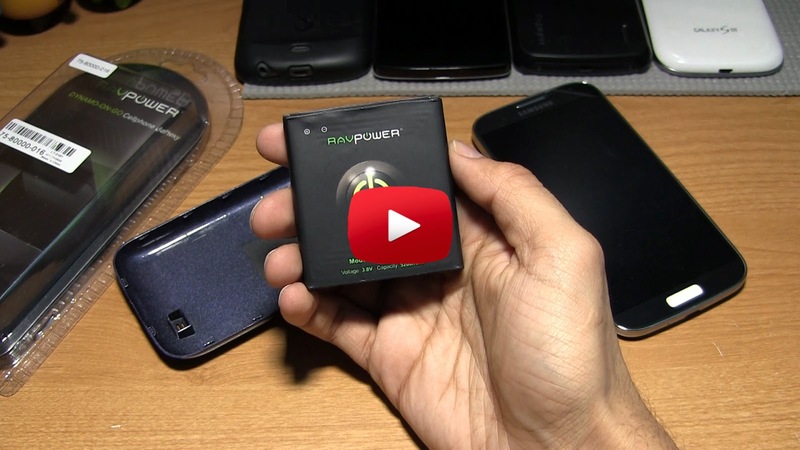 RAVPower 5200 mAh Extended Battery for Galaxy S4! ~ AndroidRootz.com | Source for Android Rooting, ROMS, Tricks and More! RAVPower 5200 mAh Extended Battery for Galaxy S4! Smartphones have constantly been improving each year, except for one part. The battery on smartphones can't handle a full day of use without dying. With how powerful our smartphones are becoming we need a battery that allows us to use the full potential of our smartphones. With the RAVPower 5200 mAh extended battery for the Galaxy S4 you will get double your usual battery life to get more tasks done on your Galaxy S4 smartphone. With this product you get two items. First is the 5200 mAh battery and the second is the a dark blue or white back cover. The battery is just about double the thickness and weight of your usual stock Samsung battery, but it also includes NFC support. Unfortunately the back cover is the same material as your stock back cover so it glossy and will scratch more easily. Since the battery is thicker you will need to use their included back cover that will bring a bit of thickness to your Galaxy S4.